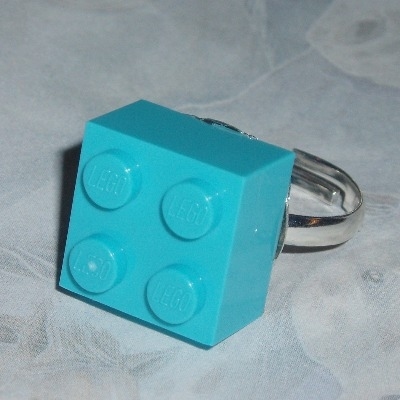 Lego Ring with 2x2 Brick in Azure Turquoise. You can add a Swarovski crystal if you like. Fashionable and fun to wearGEEK, EMO, Kitsch, Retro. The Azure Turquoise Lego Brick is rare and very hard to find, so stock is Limited.